Can your team speak freely? Leadership today is all about two words: It’s all about truth and trust. You and others are willing to work long and hard to accomplish goals. However, as we’ve seen from the stories in recent posts, our efforts can become very scattered and focused on the “urgent.” We need to build accurate, open, reliable feedback systems. A team leader needs to create a learning environment in which every team member is appreciated, listened to, and respected. In this kind of environment, the opinions of team members are fully explored and understood and are incorporated into the decision-making process. The team actively learns from all members who express their positions and opinions, and as a result, the team is stronger and more efficient. In the end it will be the ability to endure through the challenges, criticisms, and doubts that distinguishes the great leaders. But if you have staked your reputation on a wrong or unachievable goal, enduring through the challenges will only take your team or organization down the wrong path. What keeps you from that wrong path is good solid feedback. But good solid feedback is hard to come by, especially the higher you climb in an organization. People don’t like to give the boss bad news or news that doesn’t agree with the boss’s stated position. But without it comes only failure. Effective Feedback. It’s not just something you ask for. It’s a cherished gift. It’s a wonderful reward for building a trusting organization or team. An effective feedback apparatus starts with humility. Humble leaders create an atmosphere where feedback from others is desired and honestly requested. 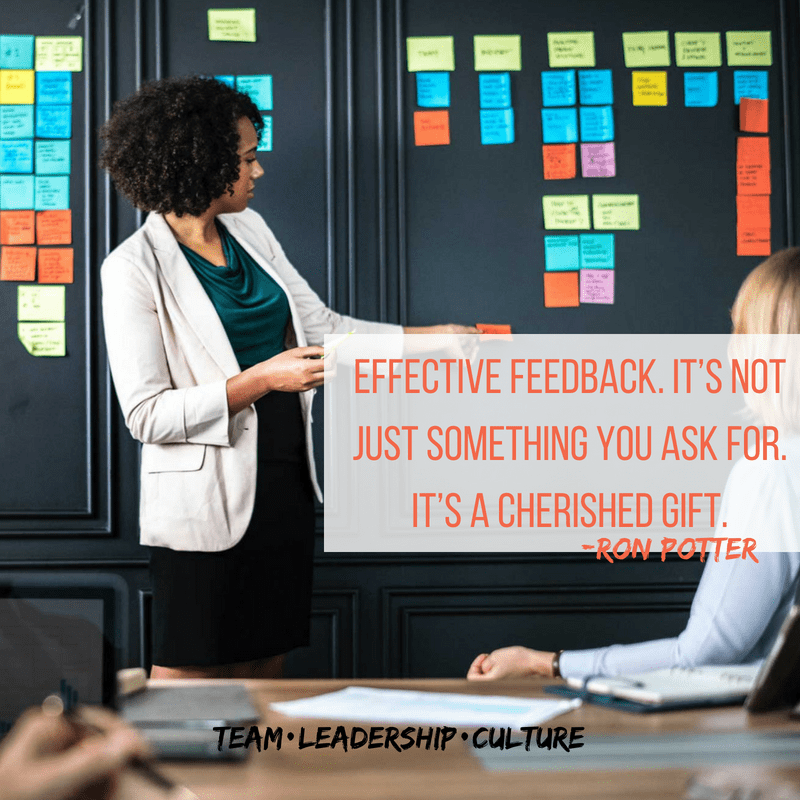 Leaders who are focused on growing their people build that growth on feedback. When people know that a leader is committed and wants honest feedback to help reach stated goals, they are more likely to provide the open and honest feedback required. Compassion, integrity, peacemaking—upcoming chapters that will all lead to an atmosphere and culture that is open to and thrives on honest and timely feedback.